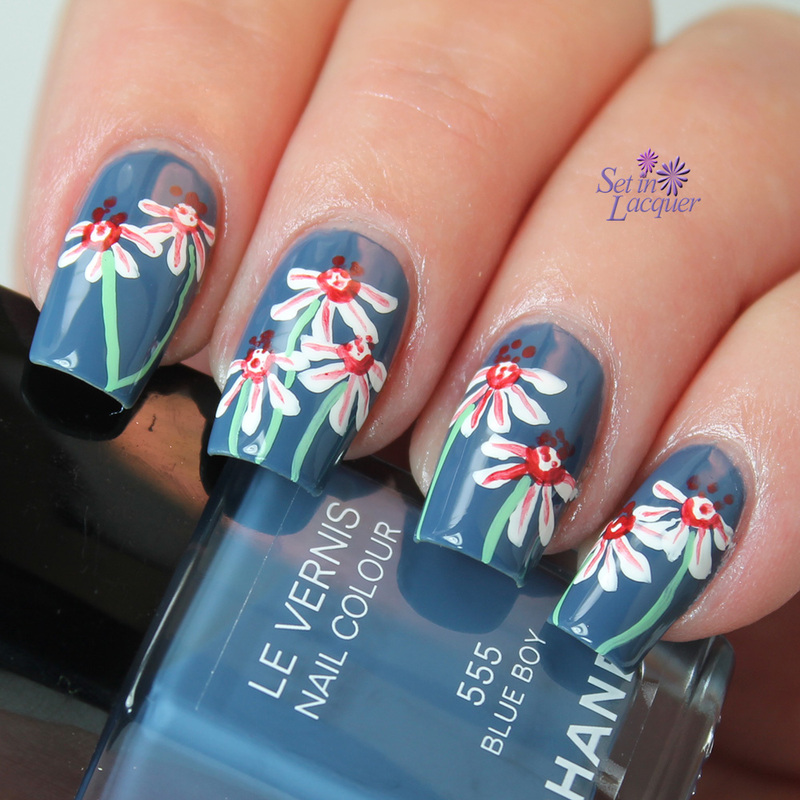 Today's post is the first of several in a fun nail art challenge a few friends and I are participating in this month. 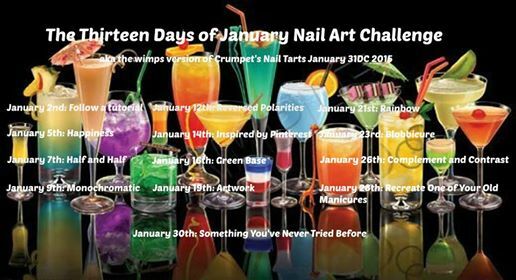 It's a watered down version of the Crumpet's Nail Tarts 31 Day Challenge for 2015. Every Monday, Wednesday and Friday in January we will creating nail art to fit a predetermined theme. Three days a week is possible for me. I'm a wimp. I couldn't keep up in the daily one. Today's prompt is to follow a tutorial. I chose to follow a floral tutorial (go figure) from Wondrously Polished. Her tutorial is extremely easy to follow. I used Chanel Blue Boy for the base color and acrylic paints for the flowers. I like the way the flowers appear as if you are viewing them from the side. Make sure to check out the rest of the team's nail art. You can find the links below. As I was swatching the Salon Perfect polishes I came across one that I positively adored. Well, I liked all of them; but one made me take pause. 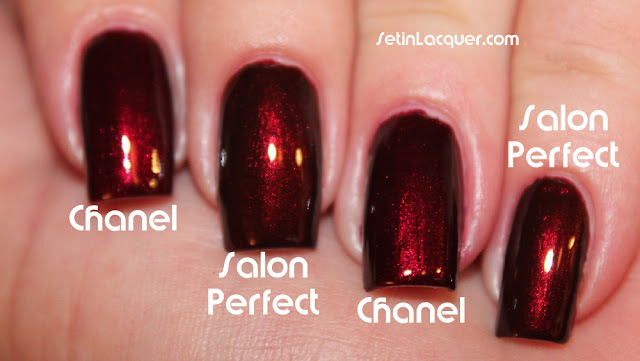 (I purchased Chanel Malice and Salon Perfect Red Dahlia was sent to me for review.) It made me wonder how close it was to the highly sought after Chanel Malice. So I grabbed my Chanel Malice and set to comparing them. Let's just move straight to the comparison swatches. When I do comparisons I never call something a dupe. I leave that up to you. I just give you the photos and descriptions. In this photo you can see a very slight difference. But the shimmer is the same. Here's a close-up for you. This photo shows the most difference although they are still extremely similar. The Chanel has a little more pink/purple tendency. What do you think? Are they close?